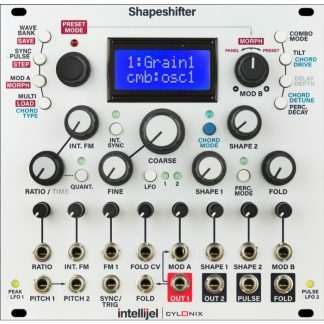 Dual voltage controlled complex oscillator, with both Sawtooth Core and Triangle Core VCOs, 2 Wavefolders, Sub, Soft/Hard Sync, Ring Mod, AM & much more.. The Instruo Cš-L is a dual voltage controlled oscillator. 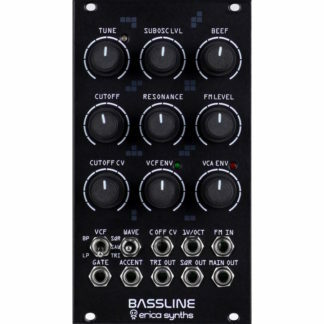 It takes the modern approach of dual primary oscillators and expands upon them. 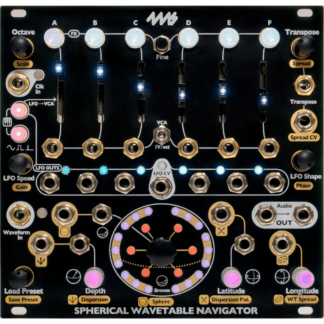 Each oscillator sports its own wavefolder, PWM output and wide range of classic waveforms. A four-quadrant multiplier stage allows for ring modulation as well as rectified and positive only amplitude modulation. Each oscillator uses a different core (top sawtooth core, bottom triangle core) giving the best of both worlds. A versatile, definable routing modulation bus allows for CV control over a huge range of cross modulation without even needing to insert a patch cable. Complex oscillators traditionally comprise of two VCOs used to generate complex waveforms. The classic configuration uses an arrangement of modulator -> carrier. Use of wavefolders enhance the timbre complexity to a ‘final’ output. The Cš-L takes this tried and tested configuration, but blurs the lines of which voice is the carrier and which is the modulator. They can be either or both simultaneously! Each Oscillator has it’s own unique characteristics and perks, down their core circuits. 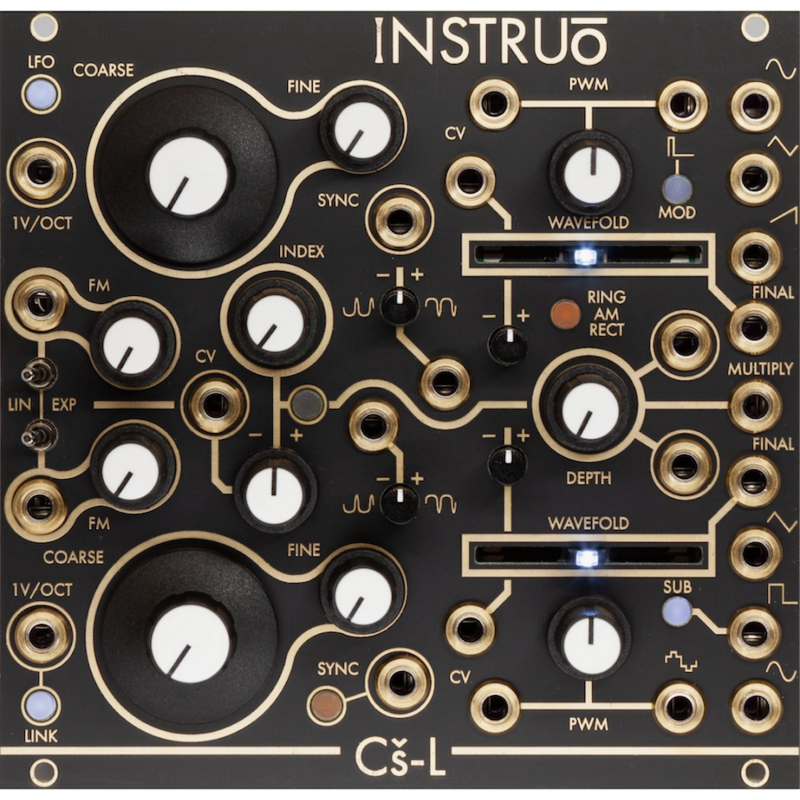 There is a wavefolder per oscillator, giving the Cš-L two entirely separate ‘final’ outputs.